The Gas Turbine Builders Association (GTBA), formerly known as the Gas Turbine Builders Contact Group (GTBCG), was started in the Summer of 1995 to encourage the exchange of information relating to the construction and operation of model gas turbines, originally focusing on the Schreckling FD3/64 and then the Kamps Microturbine. Members are encouraged to contribute their ideas, experiences and developments through the online forum. Information is also regularly updated on sources of material and services available from individual members. Details of significant improvements to the original FD3/64 and Kamps engines have been published and new designs of engines such as the KJ-66 and PT75 have become available from within the Group. Lately the GTBA is concentrating on designing the "GTBA Engine". This engine is designed to be easy to build and the materials easy to obtain. 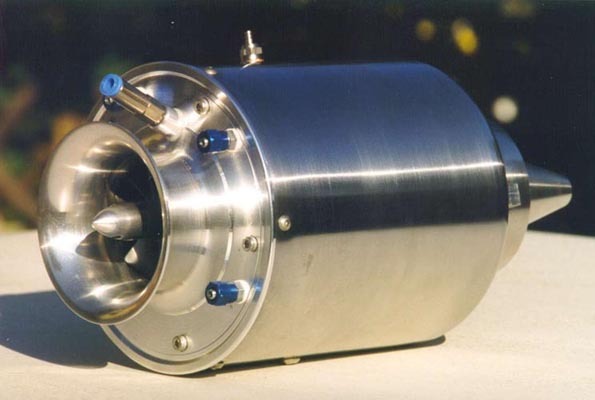 It uses a simple design based on turbocharger parts.